I hear so many wedding photographers complain about the “Uncle Bobs,” and guests at weddings, getting in the way with their cameras and iPhones. My response to them, is, take a chill pill and embrace the imagery that can be documented. This shot is a prime example of what I mean. 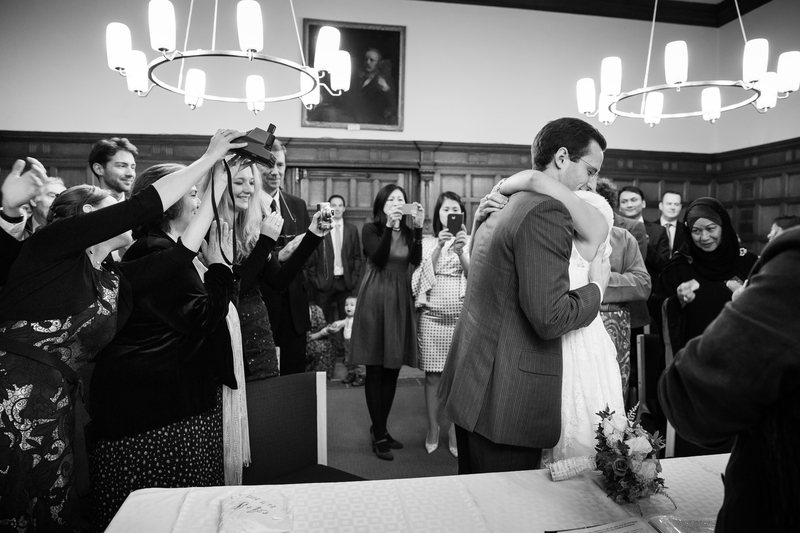 Although it is a lovely moment when Sebastian & Aida embrace each other after they are pronounced man and wife. I really think having the guests in the photo with their camera’s really makes the image, and adds impact to the story….. 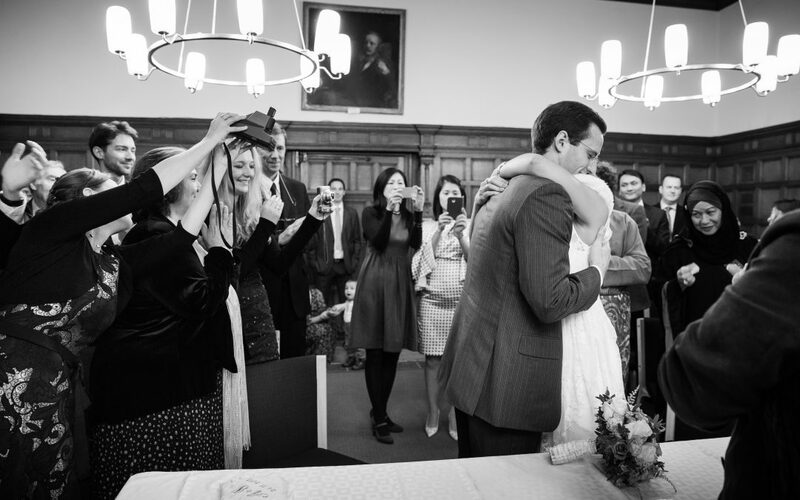 I will be posting Aida’s & Sebastian’s Oxford Town Hall wedding very soon. Great shot – excited to see the rest!